Title Economic Rescue Plan : Stocks slipped Thursday published to cocoa-touch. Stocks slipped Thursday morning as nervous investors wondered whether the House of Representatives will concur with the $700 billion bank bailout plan approved by the Senate. Adding to the jitters, the Labor Department reported a seven-year high for jobless claims. The department said 497,000 jobless claims were filed in the week ended Sept. 27 - more than forecasters predicted. Claims were expected to total 475,000, according to a consensus of economists provided by Briefing.com. Job losses were higher than the previous week's tally of 496,000. The Dow Jones industrial average (INDU ), the Standard & Poor's 500 (SPX ) index and the Nasdaq composite (COMP ) all declined in the early going. 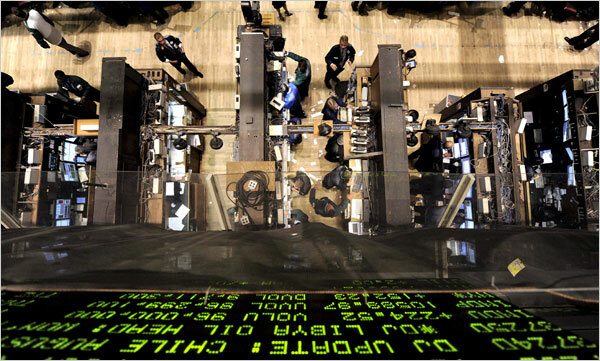 The Dow Jones industrial average slipped about 0.2% on Wednesday and the Nasdaq composite index fell more than 1%. European stocks were mixed in midday trading. Japan's Nikkei index closed lower. The bailout: The Senate late Wednesday the proposed bailout, which would loosen up the credit freeze by allowing the government to buy bad mortgage-related investments from finance firms. The House rejected a similar bailout bill earlier in the week and now investors are looking forward to Friday, when the body is expected to vote on the Senate-approved bill. Art Hogan, chief market strategist for Jefferies & Co., said the Senate approval was widely expected and "baked into the cake," so it did not result in a stock rally. But the outcome of the House bill is "unknown," said Hogan. "The market doesn't like uncertainty and that's what were focusing on right now," said Hogan. "We're playing wait-and-see and typically, when that happens, you don't have strength in the market." Economy: At 10 a.m. ET, the Commerce Department will announce factory orders for August. Orders are expected to have fallen 2%, according to a consensus of economists from Briefing.com. In July, orders increased 1.3%. Currency and oil: The dollar slipped versus the yen, but rose against the euro and the British pound. Oil prices fell $1.98 to $96.55 a barrel on the New York Mercantile Exchange. Credit markets remained tight.